Prof. Hudson Arul Vethamanikam has Bachelor’s degree in Bussiness Administration and Master’s degree in Finance and Marketing. His other credentials include MHRM and M.Com. He holds M.Phil and Ph.D. in Management from Alagappa University. Mr. Hudson Arul Vethamanikam has published several articles in refereed journals and chapters in books. He has presented many papers at National and International conferences He is also in the Editorial board of a few Journals and holds membership in academic and professional bodies. 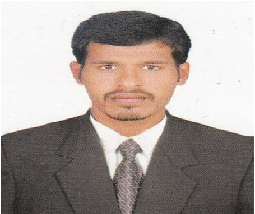 His career objective is to excel in the field of Teaching and Research and help student community.